Enjoy an upscale excursion to the country’s best-known and most luxurious wine-growing region. Nestled between northern California’s coastal mountains, this world famous wine-growing region is a sumptuous feast of natural splendor. It has rolling hills, fields awash with wildflowers, gourmet restaurants, bed-and-breakfast inns and spas among 45,000 acres (18,000 hectares) of vineyards. With ample sunshine during the day and cool nights, the climate is perfect for wine production as well as touring vineyards by bike, convertible or limo. There are hundreds of wineries here, ranging from intimate, family-owned farms to large enterprises with cavernous grottos. The Napa soil is perfect for growing an extensive variety of grapes. These are well-suited for a broad range of wines from champagne, to chardonnay, to zinfandel. There’s something sure to satisfy almost any palette. Many of the vineyards welcome visitors for wine tastings and a guided tour of their grounds. Learn how wines are produced and how to pair different varieties with food. Some of the big wineries have spectacular gardens and caves. There are even a few castles! When it’s time for a rest, indulge in one of Napa’s simple pleasures: sitting on a vineyard patio with a view of the grounds, enjoying a bottle of wine under the warm Californian sunshine. Napa’s wine-producing history can be traced back to 1836 when early settler George Calvert Yount planted the first vineyard in the valley. The trendy town of Yountville, where you’ll find upscale shops and restaurants, as well as lovely inns, is named in his honor. This is the place to splurge on Michelin-starred restaurants, spas that offer herbal facials and wine-inspired treatments. Consider a limo tour of the many wineries so that you can indulge without getting behind the wheel. Napa Valley is just over an hour north of San Francisco by car. This mission in San Rafael, which still offers services, is an interesting destination to learn more about California’s religious history. Set in Napa, this family-friendly resort is within 6 mi (10 km) of Black Stallion Winery, Scientopia Discovery Center and Oxbow Public Market. Napa Premium Outlets and Oxbow Commons are also within 6 miles (10 km). 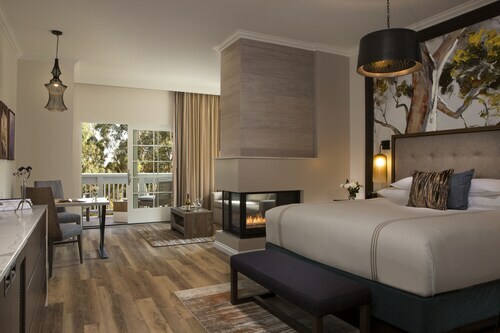 Located in Downtown Napa, this romantic hotel is within a 15-minute walk of JaM Cellars, Napa Valley Wine Train and Oxbow Public Market. Quent Cordair Fine Art Gallery and Downtown Napa Association are also within 5 minutes. Situated on the riverwalk, this romantic hotel is within a 5-minute walk of Scientopia Discovery Center and Napa Valley Wine Train. Oxbow Public Market and Napa Opera House are also within 15 minutes. Located in Downtown Napa, this luxury hotel is within a 10-minute walk of Quent Cordair Fine Art Gallery and Oxbow Public Market. Napa Valley Wine Train is 0.5 mi (0.8 km) away. 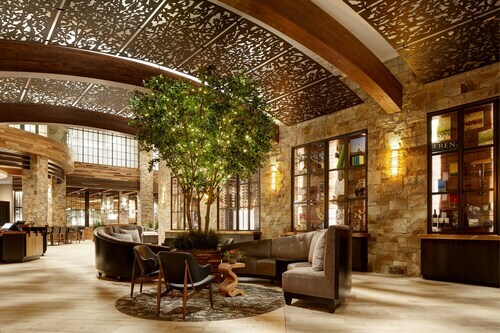 Situated in Napa, this spa resort is 0.1 mi (0.1 km) from Trinitas Cellars, and within 6 mi (10 km) of Eagle Vines Golf Club and Oxbow Public Market. Chardonnay Golf Club and Napa Opera House are also within 6 mi (10 km). 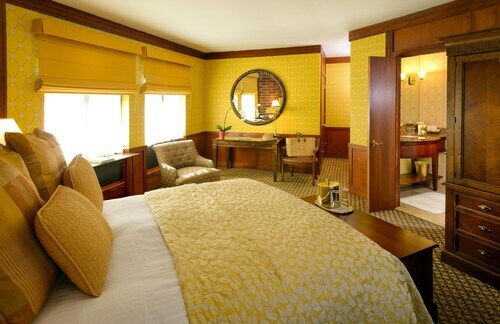 Situated in Napa, this hotel is within 3 miles (5 km) of Andretti Winery, Napa Valley Wine Train and Oxbow Public Market. Scientopia Discovery Center and Oxbow Commons are also within 3 miles (5 km). 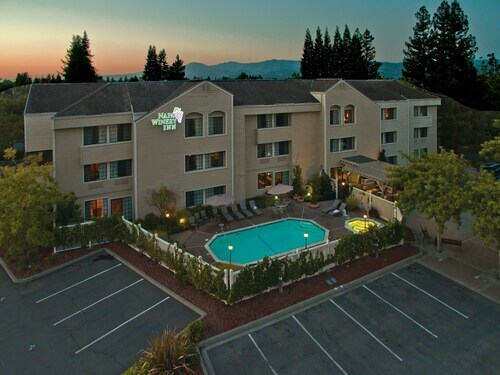 Located in Downtown Napa, this spa hotel is within a 15-minute walk of Riverbend Plaza, Napa Valley Wine Train and Oxbow Public Market. Napa Opera House and Uptown Theater are also within 10 minutes. 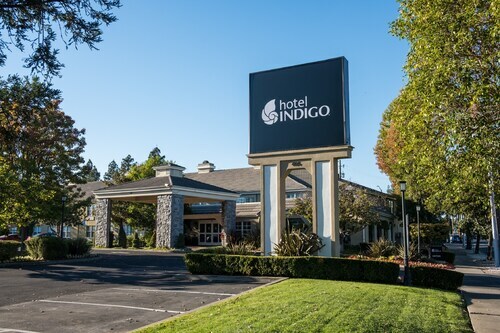 Situated in Napa, this hotel is within 3 miles (5 km) of Andretti Winery, Trefethen Family Vineyard and Scientopia Discovery Center. Napa Valley Wine Train and Oxbow Public Market are also within 6 miles (10 km).